I've been feeling very BLINGY lately. Have you noticed? 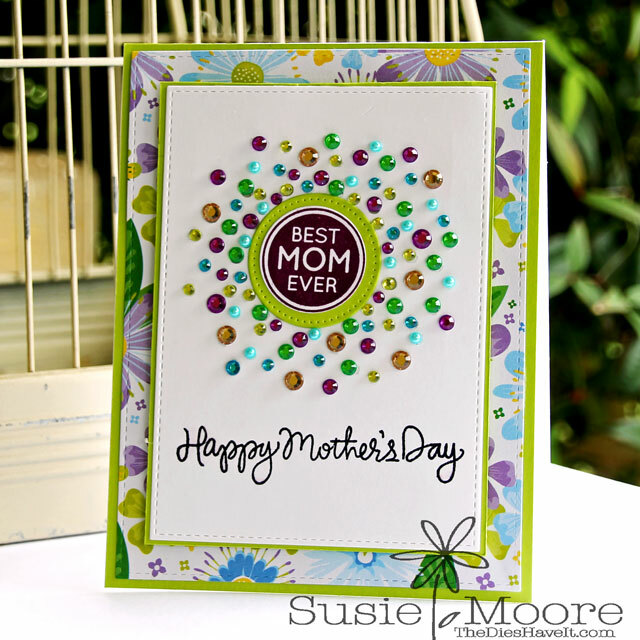 I thought it would be fun to make another Mother's Day card using lots of Eyelet Outlet bling. Since so many Mother's Day cards are delivered by hand, I thought it would be ok to load one up with some dimension! Simply beautiful! Love all the bling!